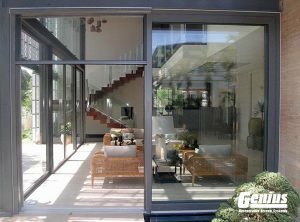 The Genius system of retractable screens are designed for flexibility, allowing for our screens to fit virtually any custom application. 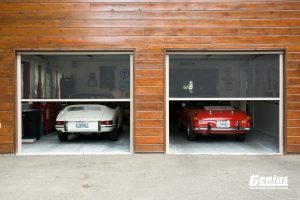 This includes garages, porches, and any other enclosure you are looking to screen. 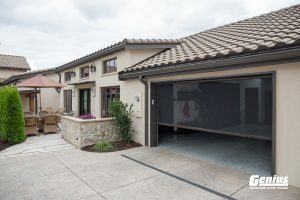 Genius screens are a great option to increase your living space while bringing the outdoors in. 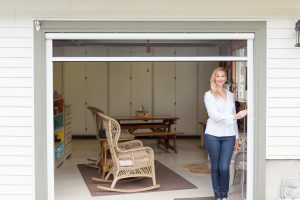 Enjoy the cool breezes while sitting in your enclosed patio, veranda and or garage. 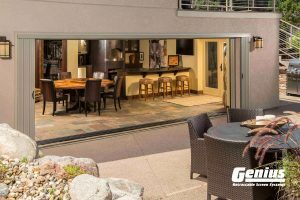 With our roll down series of screens, you can enclose wider openings and or unique applications. This product is available with a simple pull chain/spring or motorized system that allows you to raise and lower the screens as needed.